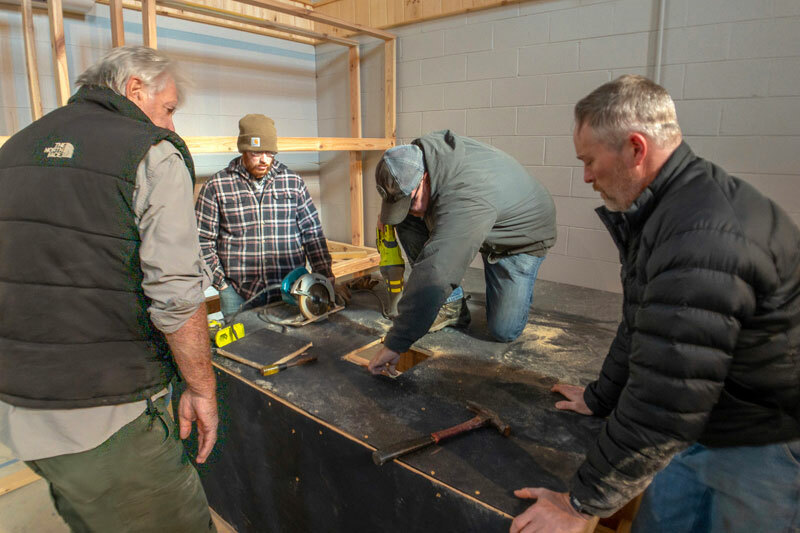 The Appalachian Rivers Aquarium at 117 Island Street is currently in the final stages of construction and exhibit setup. 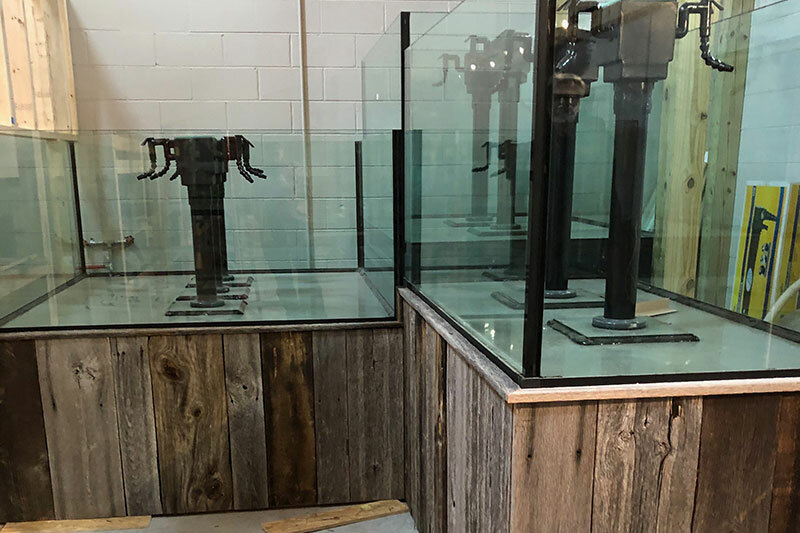 Located on the Tuckasegee River, the Appalachian Rivers Aquarium will exhibit as many regional species of non-game and gamefish as possible among twelve tanks from as small as 75 gallons to 620 gallons. In addition to the hellbender tank, a special tank for kids we call the "living wall" will exhibit live species of frogs, tree frogs, toads, turtles, salamanders, lizards, small harmless snakes and other critters. The mountain stream is a three tank live exhibit of both gamefish and non-game fish. 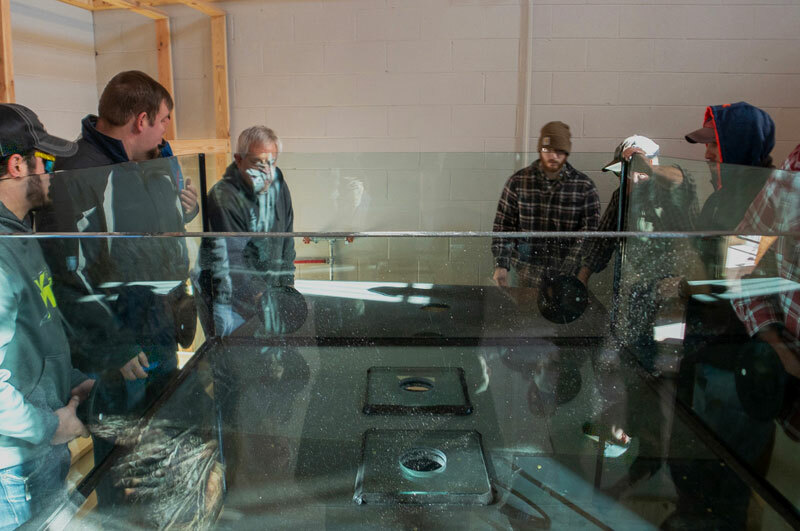 A waterfall flows into the tank that will contain northern and southern strains of brook trout and at times tiger trout which is a natural, sterile hybrid brook-brown trout along with bottom fish non-game species such as suckers and large creek chubs. The tank is viewable from the underside of the waterfall. 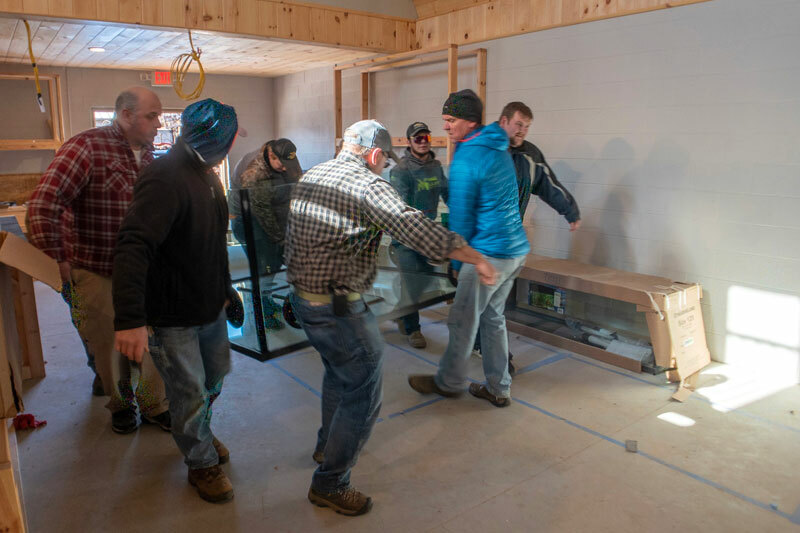 The other two tanks will contain both Lock Laven and German strains of brown trout, rainbow trout, golden rainbow trout along with species of Redhorse and species of the pike family and carp family in the largest tank. Two Hellbenders, which are protected, very large salamanders are special guests at the Appalachain Rivers Aquarium under federal and state permits. These hellbenders share the largest display tank in the southeast, providing a habitat conducive to their longevity. Three smaller tanks provide habitat to exhibit dozens of species of the more than 140 species of small dace, minnows, shiners, darters, madtoms, sculpins and other small gamefish. In addition to the mountain stream, the hellbender tank and the three smaller fish species tanks, there are nine additional tanks that will exhibit live species of game fish and non-gamefish including various sunfish, crappie, black bass, temperate bass, pike, bowfin, gar, catfish and many more regional species of fish. The building is located at 117 Island Street on the Tuckasegee River. 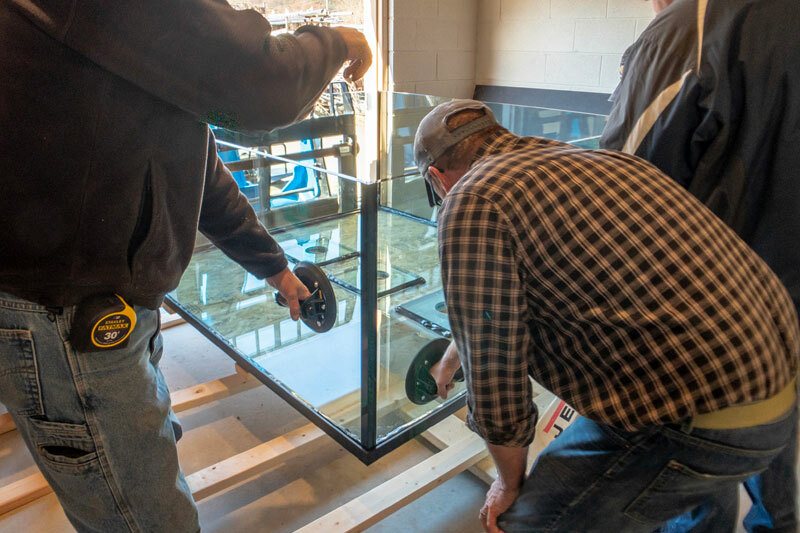 The first floor aquarium room is 1000 square feet and is laid out to maximize the capacity for fish exhibits. We plan a soft opening on March 30 (same weekend as the next Museum Hall of Fame Event) depending on how well the build goes. Each tank needs about 30 days running before fish may be added for display. One final note. We now have 3 Satellite Exhibits - Wilson Creek Visitor Center, South Mountain State Park and Caldwell County Heritage Museum. Each of these exhibits replicate and share a small element of the museum in a public place where the visibility of fly fishing can "lure" folks to come to Bryson City and see the full museum. More of these are planned soon. First tanks arrive and construction is underway. 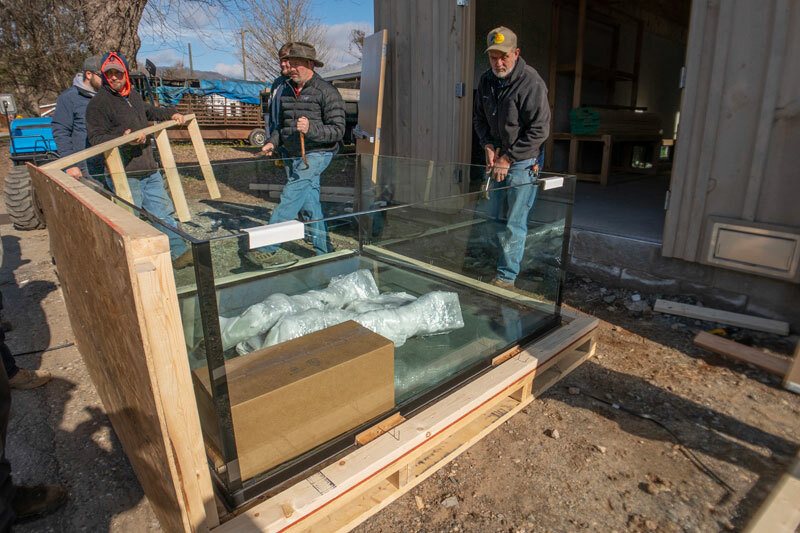 The first delivery of aquarium tanks arived on November 27. A large group of volunteers was on hand to unload, un-crate and move the large, heavy tanks into place. Southern Trout Online Magazine (courtesy of Don Kirk) is running a GoFundMe.com operation to raise monies as a sponsor of the Mountain Stream. We expect 50,000+ visitors to see these tanks and new exhibits annually. We finished 2017 with more than 15,000 visitors. The future aquarium revenue will be the operating funds to perpetuate the fly fishing museum. Sponsorship assures that the museum remains open and viable.